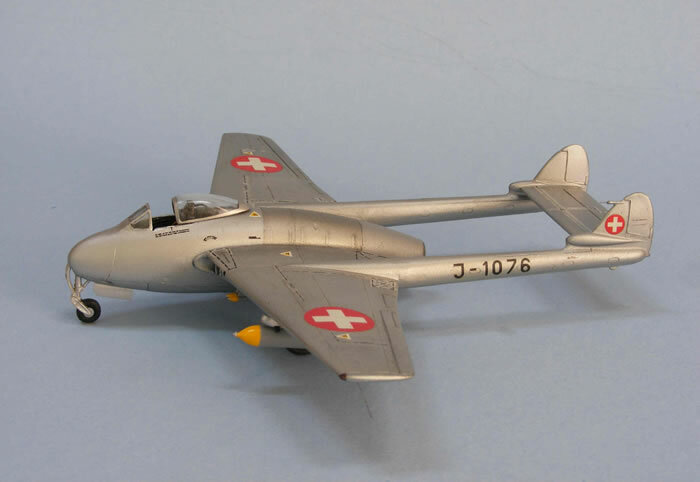 In 1946, the DeHavilland Vampire was the first jet-powered aircraft to enter service with the Swiss Air Force. 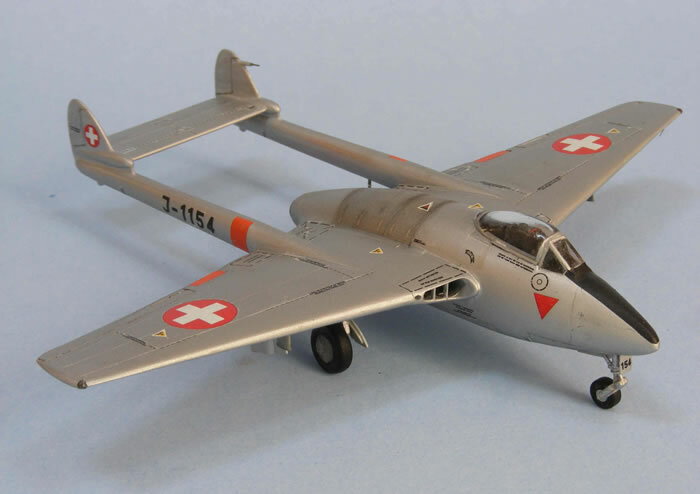 By the early 1960s, the Swiss Vampires had been replaced in their front line combat role with more modern types. As was the case with most first generation jets, they became obsolete within a few years because of the rapid technological developments in aircraft design during the 1950s. 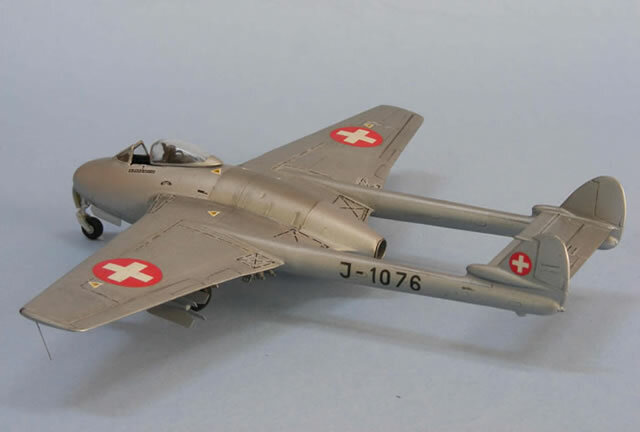 In spite of this, the Swiss Air Force continued to use its Vampires as target tugs and advanced trainers until the mid 1980s. 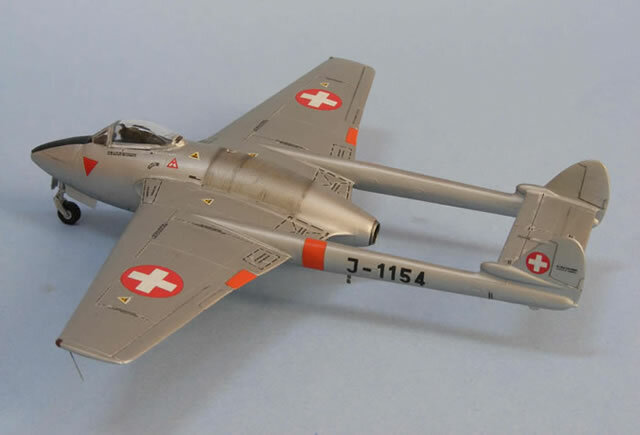 If you wish to build a model of a Swiss Air Force Vampire in 1/72 scale, the resin kits from CMR are your best choice. 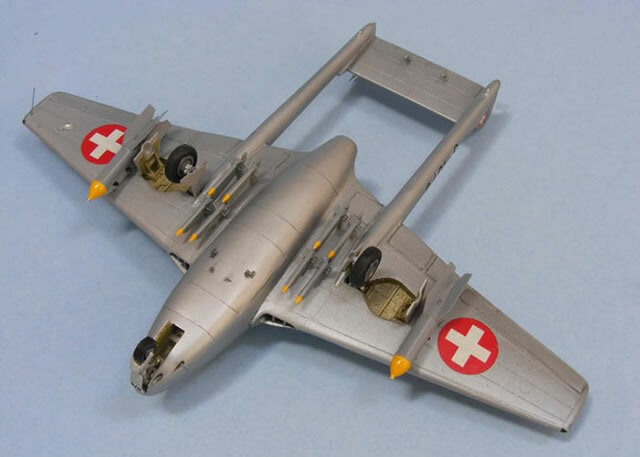 But if working with resin is not your thing, or the steep price of the CMR kits doesn’t fit your modeling budget, there is an alternative: The rather “ancient” injection-molded Vampire kit that has recently been reissued by Revell. A decent model can be built from this kit if you don’t mind some extra work and are willing to compromise on some of the details. 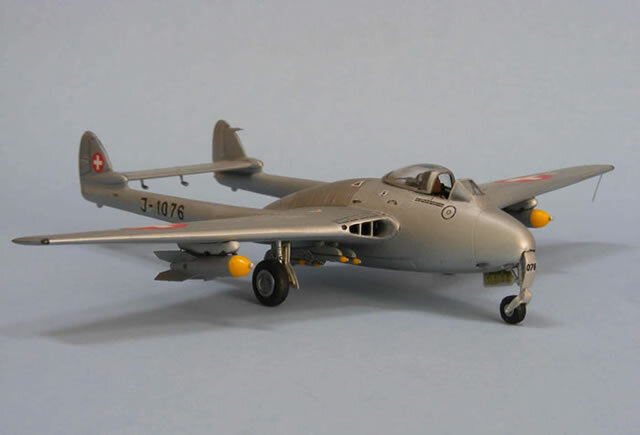 I used the Revell kits to build a 1950s era Vampire fighter bomber and a Vampire that was used as an advanced trainer in the 1980s. For the fighter bomber, no major modifications were needed. I added some details to the cockpit and wheel wells and rescribed the panel lines on the wings, which enhanced the model sufficiently for my taste. I drew inspiration from photos I found on the ipms.ch website and scratch-built wing pylons that would hold 250 kg bombs left over from a CMR Venom kit. The 8 cm Oerlikon rockets and their racks, which are mounted under the inner wing undersides, are also leftovers from the CMR Venom. The “modern” Vampire advanced trainer required a bit more work. 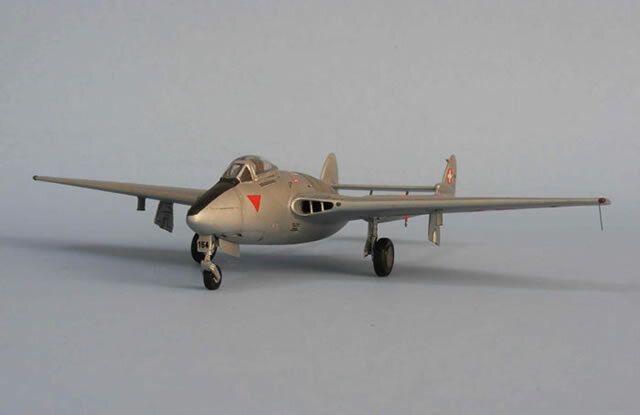 The models were painted using acrylic Hawkeye Talon aluminum paint. The decals came from my spares box. 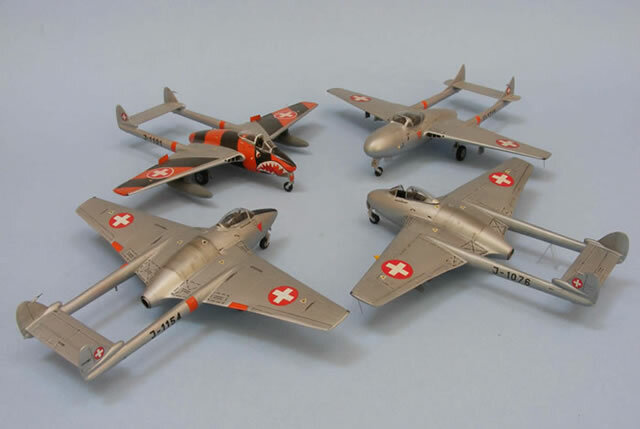 The result was not completely to my liking but I’m nevertheless happy to have two new models join the dance of the Swiss Vampires on my shelf, along with a Vampire target tug and a two-seat trainer that I had built a few years ago.